The Club Sport is a little harder edge, but not street legal version of the R35 GT-R. 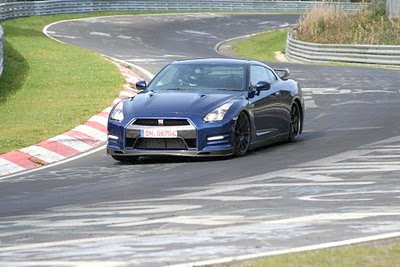 This is not the Track Pack, or even as radical as some of the other GT-R's(see below) that have been seen out on Nurburgring. Mizuno never even offered up a Nurburgring lap time for the SpecV. “This version here already is good for less than 7 Minutes,” says Mizuno-san, pointing at the new track edition of the GT-R. 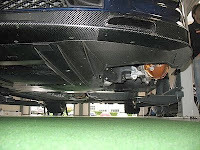 It features a roll-cage, has most of the GT-R’s luxurious interior removed, exposing the bare metal, but features the same engine as the regulation GT-R. 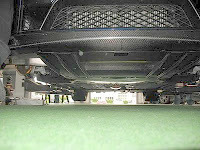 The 550 horses of its engine make contact with the pavement using Dunlop slick tires, developed especially for the GT-R.